Using cyphers and other techniques to hide secret messages is a great way to give players information while simultaneously ensuring that they experience some extremely satisfying wins. Idea 1: Use a scytale cipher to hide a message. Idea 2: Hide a message in a snote. Idea 3: Hide a message using a red reveal technique. Red reveal cyphers can be created on a computer if you have a color printer. Idea 4: Use a mask technique to reveal a hidden message. Idea 5: Similar to Idea 4, use a postcard decoder to hide a message. Idea 6. Use the NATO phonetic alphabet to create a message. Idea 7: If appropriate for your theme, write coded messages in fictional alphabets. Escape room players love opportunities to show off their geeky knowledge of fictional worlds. 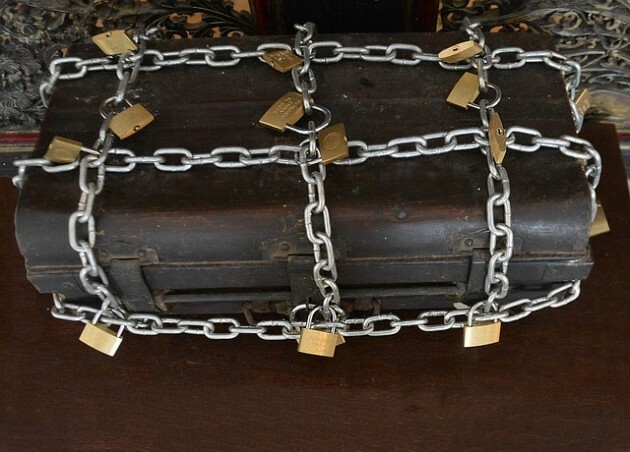 Finding something that has been hidden is a particularly satisfying moment for escape room players. Even if they still have to figure out what to do with the object(s) they’ve found, the moment of discovery always energizes everyone in the room. Idea 8: Hide a clue inside a fortune cookie. Idea 9: Hide plastic Easter eggs or other objects that easily break open around the room. Place slips of paper with message fragments inside them. 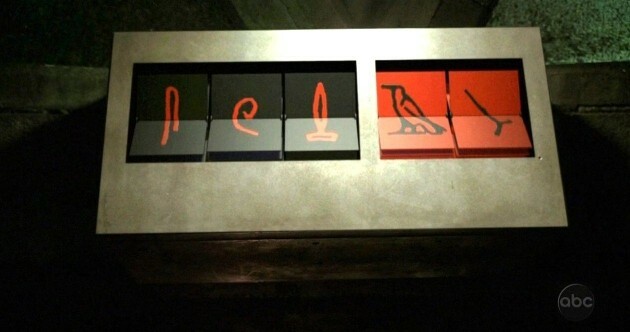 Players must find them all to complete the message. Idea 10: Write a message on the back of a painting. Idea 11: Hide a message within the image in a painting. 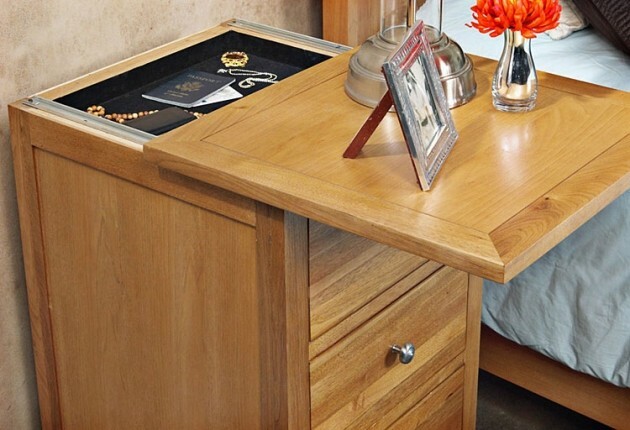 Idea 12: Design a desk drawer or trunk with a secret compartment and hide something in it. Idea 14: Hide an object inside a skeleton’s “stomach,” as if it had once been swallowed. Players must unbutton the skeleton’s shirt and reach between its bones to retrieve the object. Idea 15: Place a whiteboard or chalkboard in the room with notes or equations all over it. Players must erase the chalk or dry erase ink from the board to reveal a message written in permanent ink. 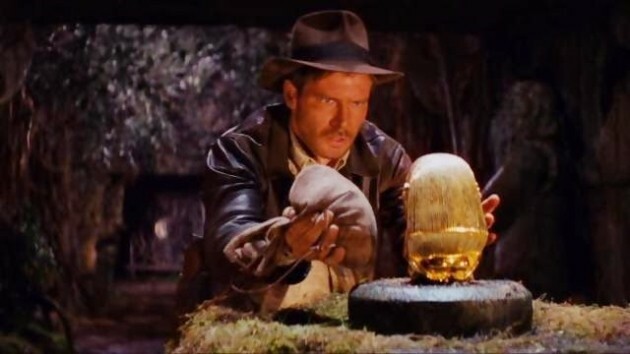 Idea 16: Place an ancient research diary (à la Professor Jones’ diary) in the room. Hide cryptic clues throughout the notes scribbled within. Idea 17: Leave a blank notepad on a desk. Players must scribble lightly with a pencil on the top page of a notepad to reveal the note that had been written on the page above it. Idea 18: Place a computer or tablet in the room that takes players to a room-specific website you’ve created. Place clues in the website text and images. Idea 19: Write a message on something tiny and require players to use a microscope to read it. Idea 20: Place instructions somewhere in the room, but rip off the bottom section, so the instructions are incomplete. Hide the bottom section as a charred piece of paper that falls from the chimney if players open the flue in the fireplace (as if someone tried to burn the paper, and it flew up into the chimney before it was completely destroyed). A lot of exit games use locks as a prop and puzzle. Be careful not to rely too heavily on this puzzle type, or your customers will get bored. A few locks here and there, though, can be nice satisfying wins that don’t require too much effort to figure out. 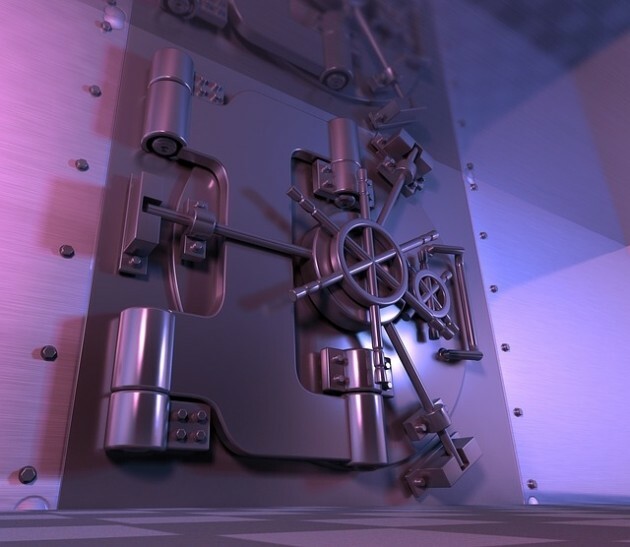 Here are some ways to provide lock combinations. Idea 21: Use a book series (the kind that has numbers on the spines) and draw a diagonal line across the bottoms of the books. Players must stack the books so the line is straight, then use the numbers on the spines as a combination. Idea 22: Write a combination in invisible ink on the bottom of the box containing the lock. Idea 23: Write a combination on the inside of a lamp shade. Idea 24: Provide the combination in a Chinese takeout menu with certain meal numbers circled. Idea 25: Provide solved number puzzles with incorrect answers; require players to recognize which answers are wrong and use those numbers as a combination. 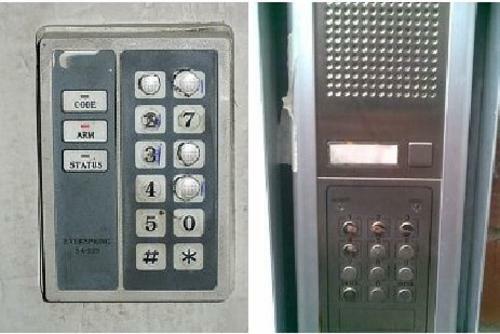 There are generally two steps to solving a keypad lock. First players must figure out which buttons are part of the code. Second they must figure out the order in which to push those buttons. You can place a datebook with a significant year or other clue elsewhere in the room to give them the right order. Players can use actual burglar techniques to guess a keypad code. Idea 26: If players blow powder on a button keypad, the powder will stick to the buttons that have the most oil on them. Idea 27: A button keypad with some of the number labels worn off will also show players which buttons are used most frequently. 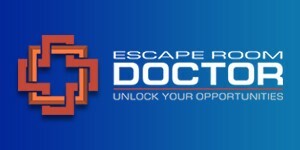 Many escape rooms are really made up of several connected rooms, giving game designers opportunities to challenge players with secret or locked doors. Idea 28: Create a hidden door that is only visible by the light from the next room seeping through the cracks around its edges. Players cannot find it unless they turn off the lights. Idea 29: Create a hidden door that can be found if players feel a draft coming through the cracks around its edges; this may require holding up a lit match or lighter to see where the flame wavers. 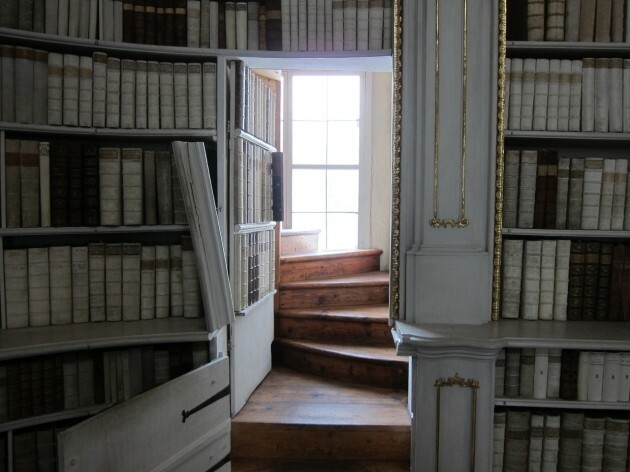 Idea 30: Create a hidden bookcase door that requires pulling the right book or a nearby wall sconce to open it. Idea 31: Make the back panel of a closet a door that opens when another task is completed in the room; players must return to the closet to realize it has opened. Idea 32: Hide a secret door in the back of a fireplace. Players must crawl through the fireplace to go through it. Idea 33: Hide a key in a drain. Players must use a magnet attached to a piece of wire to retrieve it. Idea 34: To make Item 33 more challenging, require players to remove a painting’s hanging wire to retrieve the key. Idea 35: If you have a prison cell or enclosure with bars players can reach through, require players to reach through and unlock the door backwards using a mirror. 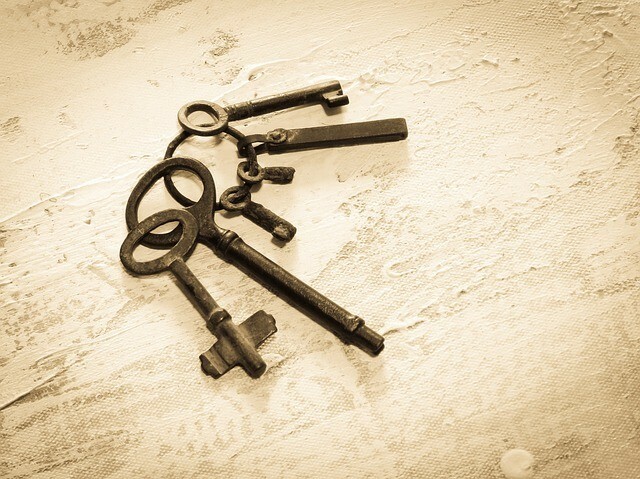 It’s all about keys – finding the key to a lock or finding the key to a puzzle. Idea 36: Create a door without a visible lock that only opens if players use the right knock pattern. Idea 37: Or, similar to Item 36, program a desk drawer to remain locked until players knock on the right spot on the desk surface. Idea 38: Create a door that pops open if a certain action is performed elsewhere in the room but latches again if players don’t access it immediately. One player must perform the task that opens the door, and another must rush through it or find a way to keep it open. Idea 39: Create a room with various types of tiles on the floor and a locked door on the other side. If players simply walk across the room, nothing happens. Players must get from one side of the room to the other without stepping on certain tiles or stepping only on the correct sequence of tiles to unlock the door. Not all challenges should involve decoding or unlocking things. Sometimes players enjoy performing unusual tasks or activities that require multiple steps to accomplish an overall objective. Idea 41: Players must repair an electronic device by correctly configuring dip switches. Idea 42: Players in an art gallery must replicate the poses of statues. Idea 43: Similar to Idea 42, players must adjust statue poses (move their arms, legs, and heads) to match images they’re provided. Idea 44: Players must swap out an object with something of equal weight. This idol belongs in a museum. 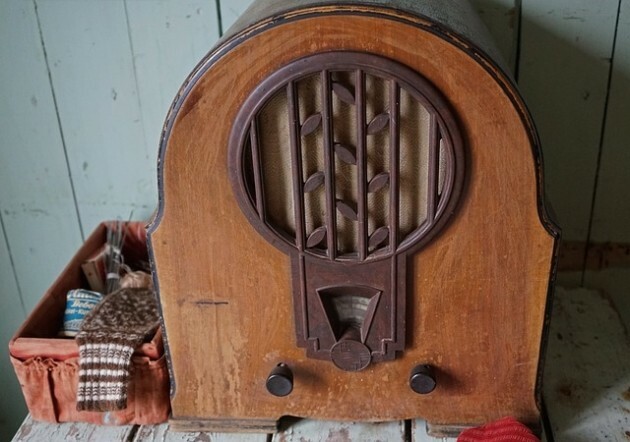 Idea 45: Players must figure out how to turn an old, beat up radio on (they may need to “repair” it first) and tune it to the right frequency to hear auditory clues. Idea 46: Players must build a musical instrument out of objects found in the room and use it to play a specific melody. Idea 48: Players must reach behind the top drawer of a desk or file cabinet to retrieve items in locked drawer below it. 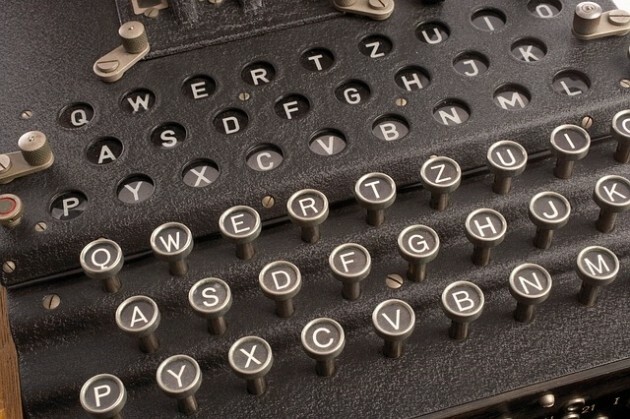 Idea 50: Straight out of LOST: Give players a computer keyboard and require them to type a series of numbers in at regular intervals to avoid catastrophe. Idea 51: Players must program a robot to perform a task they cannot do themselves. Idea 53: To make Idea 49 more challenging, give players a reel of film that’s missing a critical section. 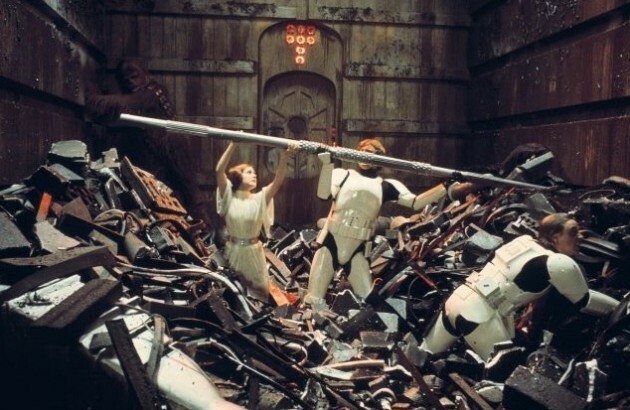 Hide the section elsewhere and require players to splice the missing piece into the film to watch the whole thing. Idea 54: A player in one room must carry out a task by following directions provided by a second player watching from another room on a monitor. Idea 55: Supply players with a flashlight that has no batteries. Elsewhere supply them with a clock or other object that uses the same type of batteries. Players must recognize that they need to remove the batteries from one object and use them in the other. Idea 56: Use a cryptic code to provide the correct on-off configuration for circuit breakers in a breaker box. 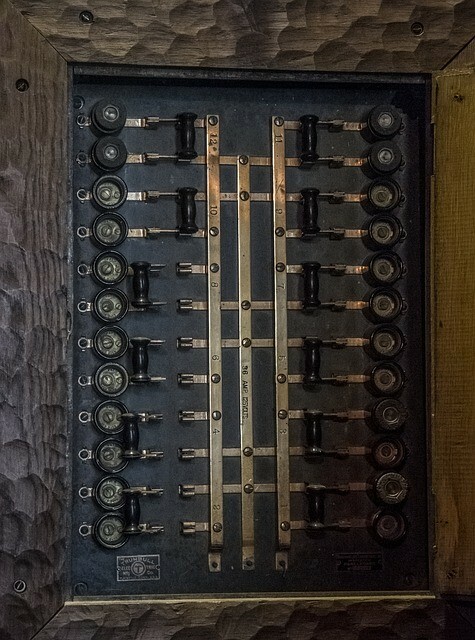 Circuit breakers can serve a variety of purposes in an escape room. Idea 59: Send players into the future with a time travel device and require them to figure out how to set it to return to the current time. 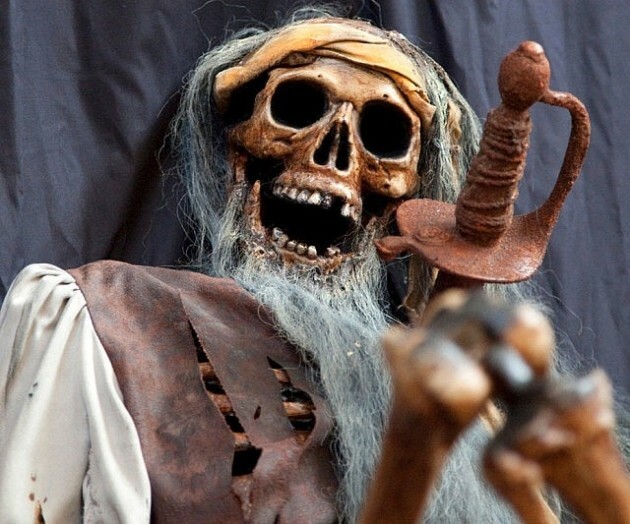 Idea 60: Send players into the future with a time travel machine and require them to figure out how to repair it using tools that have not yet been invented. 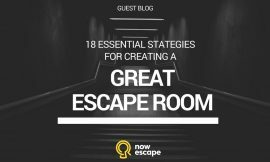 If you’re doing a good job of creating a thoroughly immersive environment, your escape room will contain some furnishings and props that are there solely for aesthetic purposes. Figuring out what’s useful and what’s just part of the set decoration is part of the fun. 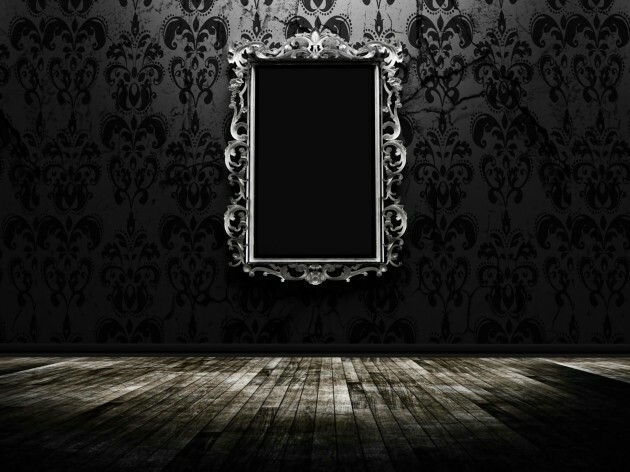 Idea 61: A mirror that turns into a painting that reveals a clue if players read an incantation or repeat “Bloody Mary” in front of it. Idea 62: A mirror in which players can see “ghosts” standing or moving around behind them in the room. 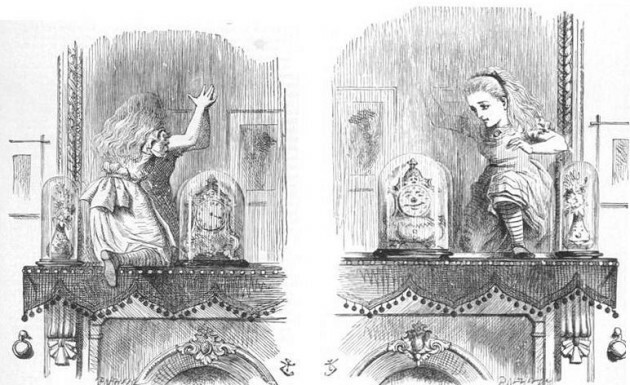 The ghosts’ activities can provide clues regarding where things are hidden or how to operate machinery. Imagine the chills in the room when someone notices the subject of a paining has moved. Idea 65: A painting or an old photograph showing the room players are in with a different furniture configuration; activate a switch if players rearrange the furniture to match the picture. Idea 66: To make Idea 66 more challenging, make one of the pieces of furniture broken or missing, requiring players to find a substitute to place in that spot. Idea 67: A mirror that players can reach through or step through into “opposite world.” Players must use teamwork between the two rooms to accomplish a task. Create two rooms that are mirror images of each other and make the “doorway” a mirror. Idea 68: Activate a switch when players straighten a crooked painting. Idea 69: Require players to slide a painting sideways to find something behind it. Idea 70: Make a clue part of the design on the floor or carpet, so it can only be read if players climb on a ladder or otherwise view it from a high vantage point. Idea 71: Create an “X marks the spot” puzzle in which players can only see the answer they’re looking for if they stand directly on an X. Idea 72: Create a room in which the floor is a sliding tile puzzle. Players must first figure out how to move the tiles, then solve the puzzle. Idea 73: Create a room that is a lifesize version of a board game board. Players must act appropriately as pieces on the game board to reach the “end space,” i.e, the other side of the room. While a single room filled with puzzles can be fun, opportunities to move through a larger environment or anticipate changes to the environment (whether real or fictional) can significantly increase the fun of exploration, as well as the sense of urgency. Idea 74: Put players in a room that gets colder or warmer over time. Players must figure out how to stabilize the temperature. Idea 75: Shut the lights in the room off and then on again. Change something in the room every time the lights are off. Players must recognize what has changed. Idea 76: Inform players that they have a limited amount of air. 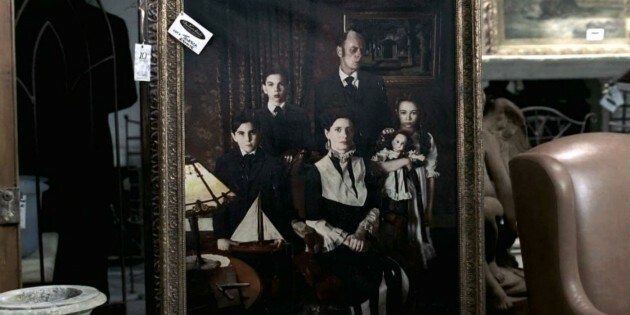 Require them to make it into another room within a certain amount of time (depending on the complexity of the puzzles in the first room, this could be anywhere from 15 to 45 minutes) or they forfeit the game. As escape rooms begin to blur the line between games and interactive theater, many escape room operators are creating ways for players to interact with non-player characters or gain an awareness of the fictional world outside the room(s) they’re in. Idea 80: Make the first puzzle the players must solve figuring out how to ask for hints. Players must successfully interact with the game master to complete the task. Idea 81: Give players a two-way radio to communicate with a commander or extraction team. They must figure out the right password in order to get a useful response. Idea 82: Use the sound of thunder outside the room to indicate the right time to perform a task. For example, players may need to perform a loud action that they don’t want the guards outside the room to hear. Idea 83: Provide an extremely quiet audible clue that can only be heard in complete silence; players must stop talking and listen carefully to hear it. Idea 84: To make Idea 83 more challenging, fill the room with a loud noise, such as water rushing over a dam or a constantly bleating alarm. Require players to figure out how to shut off the noise (open the dam, shut off the alarm, etc.). Idea 85: Provide clues through snatches of sound coming through the static from a radio or television. The excitement in the room will spike if players suddenly hear a voice break the static. Idea 86: Require players to figure out how to access and watch digital “captain’s logs” or a “distress signal” from a spaceship or space station. Idea 88: To make Idea 87 more challenging, require players to respond using tap code. Idea 89: Include a pet door and allow players to hear a cat or dog “outside.” If players push a bowl of cat or dog food through the pet door and wait, they’ll find that the food is gone and in its place is a collar with a note attached when they retrieve the bowl later. Idea 90: Send players a coded message, then require them to code a response and send it back. Later in the game, their success at this task may impact their success with another puzzle (e.g., the later puzzle is much harder – but not impossible – if they failed to correctly send their message early in the game). Idea 91: Include key pieces of information in conversations carried on by actors (or a recording of actors) on the other side of a door or wall. Idea 92: Alert players to an impending explosion or attack. Require them to protect themselves when the time comes by building a protective barrier to block fire or debris or finding a secure hiding place. Idea 93: Set up a task that requires players to use a lot of electricity. Use the sound of a thunderstorm “outside” to alert them to the presence of lightning and require them to enable a lightning rod to access the power. 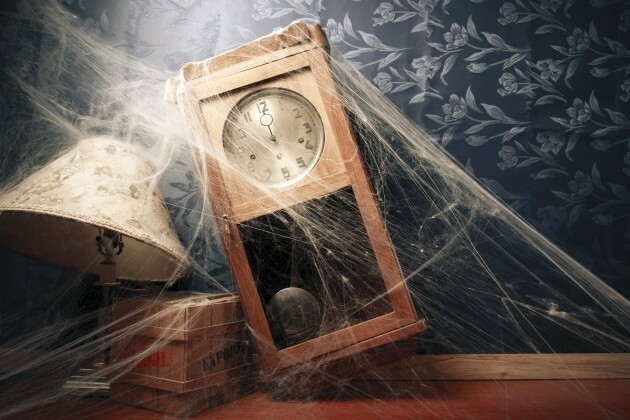 Special effects can make your escape room especially memorable. Idea 94: Use the smell of cigarette smoke to alert players to an approaching guard or other non-player character. Depending on your escape room theme, players may be prepared to get a little dirty or do things they wouldn’t ordinarily do. 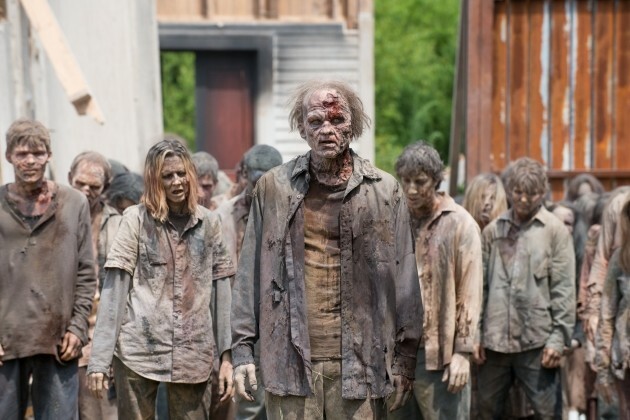 Just make sure your room descriptions and marketing materials alert customers up front that your room contains scary or uncomfortable elements. Idea 96: Require players to reach into a tub or sink basin filled with disgusting water to retrieve a key or clue. Idea 97: Require players to use a container to retrieve filthy water from a tub or sink basin and use it to solve another puzzle (such as causing a key to float to the top of a tube that’s too small to reach into). Idea 98: Create a room that can only be accessed by climbing into a large drawer and being pushed through the wall by the other players. Idea 99: Require players to reach through cobwebs, bugs, or something slimy to get a key or a clue. Idea 100: Give players an object they need to complete a task in another room, but make it impossible to carry it through the door (for example, the door could lock every time they approach it with the object in their hands). Players must find an alternate way to move the object to the other room, such as crawling through a narrow vent or a filthy crawlspace under the floor. There you go! 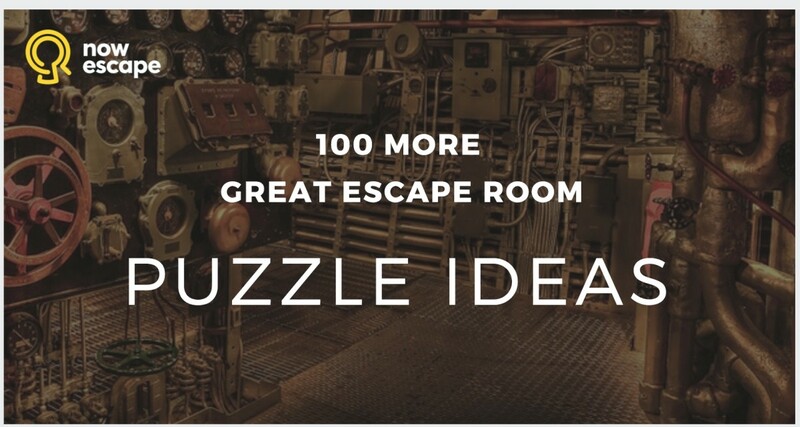 Our list of 100 more puzzle ideas for your next escape room. We hope these ideas brought your imagination to life and gave you the spark you needed to create a thrilling and challenging exit game to delight your customers. Special thanks to the following people and organizations for providing the inspiration for the puzzles in this list. 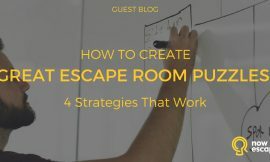 If you haven’t read it already, check out our first blog of puzzle ideas, 101 Best Escape Room Puzzles. 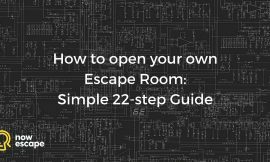 If you’re just getting started and thinking about opening your own escape room, check out How to Open Your Own Escape Room: A Simple 22-Step Guide.